I must admit that I am not really fan of this shirt. Sometimes this Puma template really is boring. Certainly the colour doesn't help. 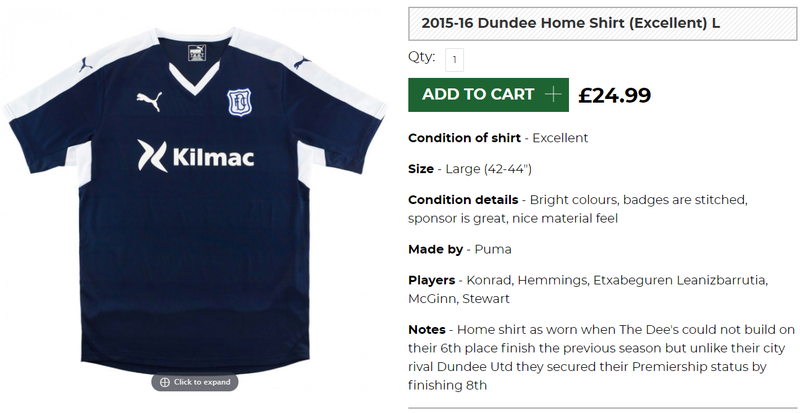 If it was primarily black or even a lighter blue then I reckon this shirt would look really nice. However as it is, I feel it just looks really uninspiring. Which for a football shirt is the last thing you want. In season 1902–03 Dundee allowed 12 league goals against, which remains the fewest goals conceded by any British club in a full league season.